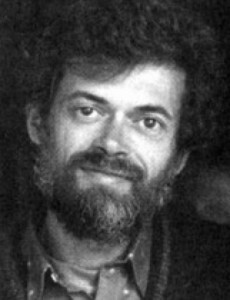 manages the intellectual property rights and permissions for all of Terence McKenna‘s words and work in all media. Anyone with interest in publishing any of his work, in any form, must contact us for authorization. Any use of his material for purpose of profit must be approved by Lux Natura. Fees for permitted use or royalties from the sale of any Terence McKenna properties are to be paid to Lux Natura. No other person, family member, or entity is entitled to authorize use of Terence McKenna’s intellectual property. is a partnership that includes Terence’s children, the legal heirs of Terence McKenna. Lux Natura has been a small publisher and retainer of intellectual property rights since 1977, when it was founded by Terence McKenna and ethnobotanist Kathleen Harrison. Finn McKenna, Klea McKenna and Kathleen Harrison are Lux Natura’s owners. This remains current in 2016. Thank you for honoring Terence’s legacy and the rights of his heirs. Inquire by email at inquiry@luxnatura.com. Mail: PO Box 807, Occidental, California 95465, U.S.A.